In part 2 of this story, the Buddy Pegs shop grom, Skipper, fails to show up for work and becomes a “missing link” in the Buddy Pegs chain. Turns out that something went wrong on his weekend ride with friends and he couldn’t bear to face the Buddy Pegs crew afterwards. Find out how Schmiddy 'the dog, the cat' helps Skipper understand the importance of an age old formula E+O=R. An Event + Your Reaction = The Outcome. Special thanks to Cleary Bikes, the sponsor of Episode 2 - The Missing Link. 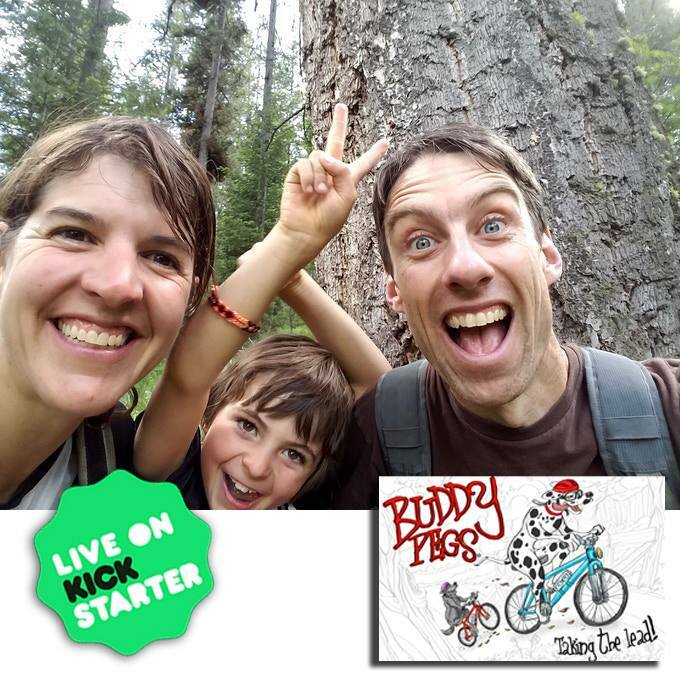 Learn how Wrigley and Watson came to open the bike shop, Buddy Pegs, by backing our Kickstarter Campaign for our second book, Buddy Pegs Taking The Lead. Thanks for your support! BUDDY PEGS PODCAST #14 Check Yourself Before You Wreck Yourself - Pt 2. The exciting conclusion of this 2 part episode, and the conclusion of The World of Buddy Pegs Season 1! After Watson, Wrigley, and Schmiddy disappear into the secret tunnel below Buddy Pegs, they emerge in Schmiddy's secret workshop. BUDDY PEGS PODCAST #13 Check Yourself Before You Wreck Yourself - Pt 1. What exactly does the Buddy Pegs bike shop look like anyway? Well, in Part 1 of this 2 part episode you can take a look for yourself! The exciting conclusion to the first Buddy Pegs holiday episode! Spokesville’s Holiday Bike Drive Extravaganza Extraordinaire (or SHBDEE for short) is in jeopardy! All the right sided pedals of the donated bicycles have been stolen from Top Dog Elementary School. BUDDY PEGS PODCAST #9: The Focal Point - Pt 2.